Always a seasonal favorite at the shop, this toy from Hog Wild is a must-have. 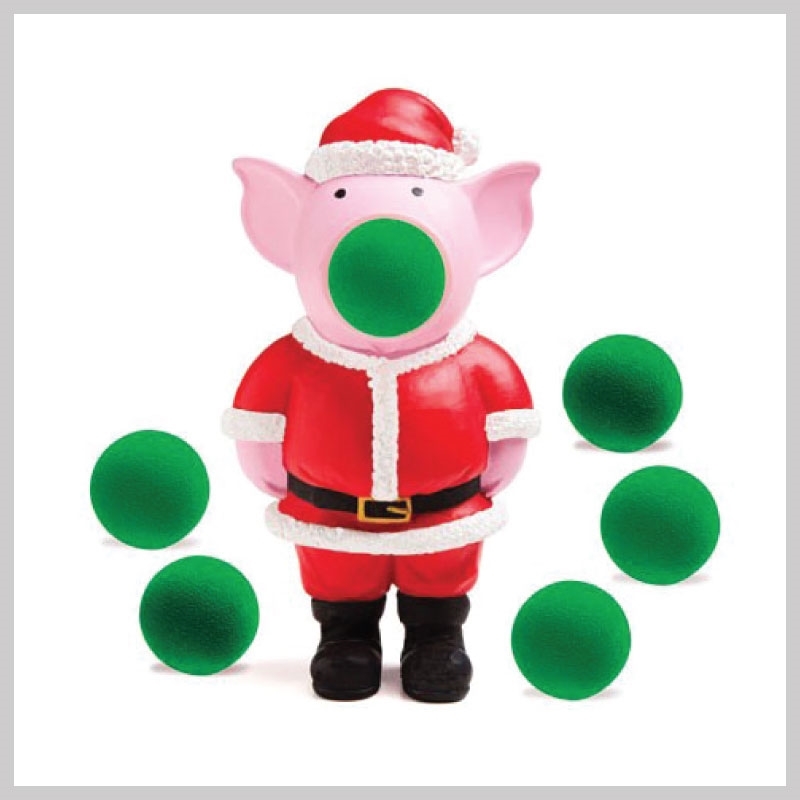 Pig Poppers can shoot foam balls up to 20 feet – just squeeze the piggy's belly and watch 'em fly! The balls are soft and light enough that kids can play with the Pig Popper indoors without breaking anything! Pig Poppesr is air-powered (no batteries! ), and comes with 6 soft foam balls and a carrying net to keep them contained. Suggested for ages 4 and up.